Icelandic poet, playwright, and novelist Sjón (pronounced “Shohn”) rummages through all of nature, history, and imagination in his newly translated trilogy, cobbling found fragments together. The resulting work holds up not through any logical scheme or solid foundation but through collective heat and gravity. More important than the fragments themselves, however, are the gaps between them, which open onto a larger and more sublime world, far beyond what any single book can encompass. Perhaps best known as a lyricist for Björk (he co-wrote the Oscar-nominated “I’ve Seen It All” from Dancer in the Dark, as well as many other songs), three of his books – The Blue Fox, The Whispering Muse, and From The Mouth Of The Whale – have just appeared for the first time in America, in snazzy FSG editions translated by Victoria Cribb. They’re peculiar things. Ribald, raunchy, sometimes brutal and sometimes unselfconsciously goofy (a revered 17th century Danish scholar is named Dr. Wormius; a merchant ship sets sail for Mold Bay), they combine legends and tall tales, magical realism and biblical allegory, landscape and maritime studies, arcane scientific and theological musings, YA-style swashbuckling and personal confession. Calling to mind Borges and Sebald with their cracked pseudo-scholarship and deliberately pedantic inquiries into botany, zoology, geography, and the cosmos, they’re wonder books, cabinets of curiosity, and extended riffs, not straightforwardly plotted and thematically streamlined novels. Projecting tricks of light and memory across frozen fields, lonely islands, and stormy seas, Sjón takes a distinctly human pleasure in relating how harsh and inhospitable the world can be to human habitation within it. He renders nature, which “breeds in its lap both unimaginable horrors and precious gems,” with the romantic longing of Caspar David Friedrich and the cool desolation of Nicholas Winding Refn’s film Valhalla Rising. Life impacts Sjón’s characters like Forrest Gump bled of all corny uplift. Dwarfed by superstition, politics, and endless winter, they bear their torment by thinking and talking endlessly, spinning a loose narrative web out of whatever absurdity is afoot. Entering this web as a reader felt like slipping into a drawn-out encounter with an enthusiastic and linguistically agile stranger at a bar. Professing to be in no hurry, I listened to the stranger toss off boastful yarns and laments about his and the world’s younger days. As we both went on drinking and the night got deep, I found myself believing him more and more. There’s something frivolous about an exchange like this, a sense that nothing concrete can be accomplished, but there’s also a desperate import, a sense that transitory, half-coherent communication is our only recourse in a world that always gets the better of us. The truth can never be said outright, but a storyteller like this convinces you it can be stabbed at. What is Iceland to me? As soon as my imagination strays from the clean modern streets of Reykjavik, it lapses into a medieval dreamscape of glaciers, fjords, elves, bright astral phenomena, ships emerging from or disappearing into the mist. I’m woefully ignorant when it comes to the Edda, which Sjón is surely playing with, and I quake before Halldór Laxness, Iceland’s “Nobel Prize winner who bridged the nation’s literary past and future,” their Mann or Hamsun. Sometimes I range over his books on the shelf and fantasize about having read them, but most of the time I fear I’m no longer brave or patient enough to take that plunge for real. Beyond this, of course there’s Björk, but, more crucially for me, there’s Sigur Rós. Their eerie, spacey soundscapes, built of sporadic percussion, bowed guitar, and angelic falsetto vocals, have soundtracked many a headphones-wearing bus or train trip through the dead of night, or hours spent half-sleeping in layover airports…so much so that I hear them now whenever I enter these disembodied headspaces, whether or not I’m listening to their music. They first took root in me when my freshman year roommate passive-aggressively strung a bunch of Christmas lights across our shared sleeping quarters. Instead of asking him to take them down so I could maybe sleep (I don’t think I even considered this option), I started playing Sigur Rós on repeat all night on my laptop. For that year and several thereafter, I couldn’t sleep without going to the place their music took me to, which is to say that I couldn’t sleep without going to Iceland. I’ve never been there in my waking life, but I’ve spent thousands of sleeping hours constructing a dream-version of it. In a coincidence that didn’t feel like one, I read David Shields’s Reality Hunger and How Literature Saved My Life at the same time as I read Sjón. I don’t have a huge pyrotechnic imagination that luxuriates in other worlds. People say, “It was so fascinating to read this novel that took place in Iceland. I just loved living inside another world for two weeks.” That doesn’t, I must say, interest me that much. But, as I thought more about it while continuing to read both, they drew unexpectedly together. What I understand Shields to be saying, beneath his supposed attack on fiction, is cut to the chase. Whatever you’re trying to do in writing, do it right away. Don’t build a house for the things that are important; just spill them naked onto the page. Sjón’s ultra-digressive style does just this. Though he relishes not getting to any particular point, soaring through stories within stories like a rogue angel of history, he makes no attempt to do anything else. His narrators aren’t dragging their feet or turning their backs on more pressing matters. They’re interested in a great many things and they leap freely and sometimes jarringly among them, but they aren’t motivated by anything other than their own genuine interest. This is a recognition, in the mind and in nature, of the same charged collage quality that Shields hungers for in literature. As if I needed any help, Shields got me thinking hard about death. He has no interest in literature that doesn’t confront it directly; he won’t invest in a writer who promises escape or treats writing like a safe haven. Without getting too Jungian here, I’ve always felt that leaving behind plot and entering Story (what John Crowley calls “The Tale” in Little, Big) is a means of subjectively overcoming the dominion of my own death, not just of ignoring it for a while. Conventional novels begin and end. Whether or not the characters you identify with die, the last page marks the death of the world the novel has labored to create, a world that has tried to impress its autonomy and uniqueness upon you. This death is singular and finite. You can read the novel again but you can’t use it to enter a place bigger than what it contains. The Story that Sjón’s books open onto is such a place. It’s a place of Life and Death, not of individual lives and deaths. When I’m truly engrossed in this realm, I feel neither alive nor soon-to-be-dead. I feel nothing but engrossment. Death becomes no less awesome, but it does not remain in ultimate opposition to everything else. It becomes part of the party rather than the infinite darkness that shuts it down. The drunken storyteller, like the 1940’s sailor in The Whispering Muse who claims to have sailed with Jason and the Argonauts, takes on a life that’s immeasurably greater than that of a single person. Both he and Jonah appreciate that “God’s tongue…pronounced the world, as if it were a tale so tremendous that no one but He Himself would live to hear it all.” Story is greater than any lifetime and yet only realized, in the moment of telling, through a living teller: somehow it houses life while housed within it. Once the ear has fallen asleep, the humming takes on a new form. It becomes a note, a voice sounding in the consciousness, as if a single grain of golden sand had slipped through the mesh of the sieve and, borne on the tip of the eardrum’s tongue, passed through the horn and ivory-inlaid gates that divide the tangible from the invisible world. Ships rarely get where they’re going, but this voyage away from the tangible world and into the invisible proves possible for those who sincerely attempt it. For me, it was a journey back to the Iceland I first discovered during those long nights in college, contemplating the grim relief of drifting off to the place the music was coming from and never returning. David Shields won’t place his faith in the bulwark of a novel that claims to encompass everything. He wants porous, disjointed work that makes no attempt to master all that it takes on. One way or another, the literature that saves his life has to take on everything, all of Life and all of Death, and break down in the face of that ambition, rather than living and dying in a vacuum. He doesn’t want to hang out in a place of make-believe with Death lurking just outside. Neither do I. I want to open the door, invite Death in, and take it from there. The ballot box was now obsolete, supplanted by a vast, continual referendum that had rendered political institutions little more than speed bumps on the road to market efficiency. It becomes palpable in late spring, when I receive a pair of unconditional offers posted first-class Royal Mail. I give ample notice at work; I make a little list of things I “haven’t done yet,” as though I am permanently relocating to the moon and will never again have the opportunity to ride the Staten Island Ferry; I chart out the furniture I need to sell, making guesses at how much cash I might collect as I disassemble my life. The days slip by and summer stutters in, blisteringly hot at first, then endless weeks of rain. (Half a dozen people say something to the effect of “You’d better get used to this!” often with a wink and a nudge, and I bite my tongue, or sometimes, I don’t, and snap, “The rain in England is not like this,” even though sometimes it actually is. A friend buys me a raincoat — a “parting gift” for the “the precipitation zone you will be heading to” — and I am profoundly grateful.) I begin to get maudlin as I leave certain places, or say goodbye to people at the end of the night. “Will this be the last time I…” The abstract idea that has hovered over me for ages — leaving New York City — sprouts legs and begins to crawl. I’m headed to University College London in the fall, after one more season taking bets in my hometown, at the Saratoga Racecourse (this summer marks my tenth anniversary as a pari-mutuel clerk). These steps have been charted for a good while now, guided by the gravitational pull of London, a city in which I’ve lived before and a place that always manages to provoke my most extreme emotions, for better or for worse. Before all of that, though, I have to say goodbye to New York, which feels a bit self-indulgent: people change cities, migrate across the globe, uproot their lives every day, and most of them don’t feel compelled to write long essays about moving. But New York, though — maybe it’s the preponderance of writers here, the narcissism and the navel-gazing, that turns our comings and goings into a series of extended metaphors? We document our arrivals and our acclimations, the natural evolution of a human being, growing older — changing in a city that’s often painted as the living embodiment of change. And when we manage to leave, if we manage to leave, escape becomes a genre in and of itself. And then somewhere along the way, it ends. It’s not the day you leave, because if you’re writing this sort of piece, it’s likely that no one is forcing you to go, or you’re not putting up much of a fight. The New York of our imaginations has to end sooner than that — maybe it collapses under the weight of our own preconceptions, or maybe pinning so much responsibility on a city serves to mask the way the passage of time can alter us: when we arrive we are willing and eager to fold ourselves into different shapes, to make ourselves fit, but as we grow older, acts of contortion become more difficult, or at the very least, less desirable. It was always easy enough for me to live here, but my New York lost the vibrancy of the early days pretty quickly; I could hold my folded shape, but the stagnancy chipped away at me over time. People say that New York is a city for the rich, or a city for the young; it is also a city for the new and the bendable. On Easter Sunday, I box up my books and hesitate as my fingers pass over a well-worn pair of Didion essay collections, the big two, Slouching Towards Bethlehem and The White Album. I am sorting books into three piles: to give away; to send upstate; and to keep around for my final few months in New York, things I know I need to read, my half-dozen favorites, and a few shelves of “emergency books” that I irrationally feel like I might want to reference and need nearby me at all times. Afterwards it looks like the oddest little library — Gulliver’s Travels and Orwell’s essays and Evelyn Waugh’s collected short stories? Why did I keep these things here? Did I think I’d need to peruse How Fiction Works in a pinch? But I remember now, three months later, why I kept the Didions close at hand. In the vast realm of “leaving New York” essays, “Goodbye to All That” says everything that has ever needed to be said — but better. I bought Slouching Towards Bethlehem in the final weeks of my senior year of college, and I read it during the strange, torpid months that followed. I open it up years later and remember, with some surprise, that those months coincided with my ill-fated experiment in becoming the kind of person who makes notations in books. Flipping through the essays, I see that I was playing fast and loose with the brackets and asterisks, basically rendering the act of marking totally pointless, like highlighting an entire page. I marked some good stuff, but most of it’s good stuff, kind of extraordinary stuff, really. It’s here that I should pause and acknowledge that if there’s anything more tedious than a “leaving New York” essay, it’s a “young girl discovers that Joan Didion has an inside window into her soul” essay. Bear with me for a moment, please. There’s a dangerous paradox in writing about your earliest years, about the very beginnings of adulthood. We believe our experiences to be unique but the messages to be universal, and we have a hell of a time trying to strike the right balance, without coming off as narcissistic or arrogant, qualities that look all the harsher when paired with inexperience and immaturity. It’s tricky to avoid whining. The circumstances of my own first year out of school are difficult to quantify, sometimes interesting, sometimes mind-numbingly ordinary: the post-graduation confusion, then a return to my summer job at the track; moving to Edinburgh to work in a t-shirt shop and live in a long-term hostel; moving to San Francisco to take an internship and cobble together rent money with sketchy side gigs; getting a call one day in early July, waiting for cheap sushi in San Francisco’s financial district, that my best friend had been hit by a truck and killed as she was biking to work that morning. I had decided to leave California a few weeks prior; I felt slightly out-of-synch out west, uncomfortable in ways I’d never felt in Scotland, as grim as my life there turned out to be. With loss, priorities can sharpen. I returned east immediately. When I first saw New York I was twenty, and it was summertime, and I got off a DC-7 at the old Idlewild temporary terminal in a new dress which had seemed very smart in Sacramento but seemed less smart already, even in the old Idlewild temporary terminal, and the warm air smelled of mildew and some instinct, programmed by all the movies I had ever seen and all the songs I had ever heard sung and all the stories I had ever read about New York, informed me that it would never be quite the same again. In fact, it never was. Some time later there was a song on all the jukeboxes on the upper East Side that went “but where is the schoolgirl who used to be me,” and if it was late enough at night I used to wonder that. I know now that almost everyone wonders something like that, sooner or later and no matter what he or she is doing, but one of the mixed blessings of being twenty and twenty-one and even twenty-three is the conviction that nothing like this, all evidence to the contrary notwithstanding, has ever happened to anyone before. It almost feels like some sleight-of-hand, the way the experiences her twenty-year-old self believes to be singular are cut down by that final sentence. Didion, a pioneer in the school of New Journalism, stretches her years in New York across the city like a broad, welcoming umbrella, inviting all of us underneath to find our own experiences in her early fumblings. “Of course it might have been some other city,” she writes, “had circumstances been different and the time been different and had I been different, might have been Paris or Chicago or even San Francisco, but because I am talking about myself I am talking here about New York.” I can’t help but wonder, though; it’s an impossible sentence to counter, after all. I compare my own earliest fumblings to my years in New York — the place where my twenties slipped away, where I worked very hard and got just a little bit in return, where I spent huge swathes of time never setting foot outside the five boroughs (more like three boroughs, actually), where my own cultural assumptions met up with hard realities, where I stopped to marvel at that stretch of the Midtown skyline every single time I passed it — and I think that it couldn’t have been anywhere else. But then, perhaps because I am talking about myself I am talking here about New York. Everything changes, even people, at least a little bit, and I watched my friends unravel somewhat in New York and then weave themselves into something nearly unrecognizable to me. I am leaving at a pivotal moment: one after another, people I know bid goodbye to their twenties, approaching the time when it feels as though one must choose to escape New York and rebuild elsewhere, or attempt to graduate into a more settled existence, moving in with partners and purchasing real estate and thinking about the future in years, maybe decades, rather than months. I think that those who stay are not choosing the life I’ve known: they are hoping to create something new, or so I assume. All the while, the circle contracts: a good number of my friends, some of the closest, have left town within the past year or two, nearly all of them in the height of summer, making toasts at outdoor goodbye parties as sweat collects at the backs of our knees. I want to say goodbye properly but I am not quite sure how to manage it. “You’ll be back,” people tell me, at work or out at some party or other, and I think, well, maybe, or better yet: yes and no. Joan Didion, after all, has returned to the Upper East Side. I can come back for certain — though maybe when I win the lottery, because I can barely afford to stay now — but I can’t return to any of this; I lost it some time ago. I suppose that’s why it’s so much easier to say goodbye to the physical space, to the things that give me my daily bearings, than to the alternative: I’ve always been terrible at endings, from my childhood notebooks to the current collection of folders on my desktop littered with unfinished stories and essays, things that are very nearly there, if only I could find the last key piece, some subtle thematic note that could tie it all together. “Goodbye to All That” takes its title from Robert Graves’s autobiography, Good-Bye to All That, his “bitter leave-taking of England” written in the wake of the First World War. But Didion’s essay, first published in The Saturday Evening Post, was originally titled “Farewell to the Enchanted City,” which I think might suit it better, in some inexplicable way. There’s so much inevitable disappointment wrapped up in the title — nostalgic regret, my absolute go-to when leaving a place. The Enchanted City, the land of outsized expectations. “All I mean is that I was very young in New York, and that at some point the golden rhythm was broken, and I am not that young anymore.” It isn’t hard to live here, for some of us, but maybe it is hard to sort our expectations from our dreams: the horizon is too hazy, blotted out by the skyline. Months to go, then weeks, and then it is a matter of days. I take stock, and I don’t say much, let alone any real goodbyes. To the physical spaces, my favorite corners: Cadman Plaza just after a thunderstorm, the view up Manhattan Avenue, dashing towards the train at Bryant Park at sunset. To the golden rhythms of the life I’ve known, because I, like Didion, spent my New York years making a magazine: I spend a few weeks working to not feel responsible for these words on these pages, for the publication to whom I’ve sacrificed Friday nights for nearly five years (and a good number of Saturdays, too), for the magazine that’s always been irrevocably wrapped up in my idea of New York, long before I ever stepped foot in the lobby. To my friends, who, if we can manage it, will always be my friends, but never like this again — even if I rushed back tomorrow, the ground has already shifted beneath me. But mostly to the Enchanted City, to the idea of it, how effortlessly it formed in my mind, and how it can disappear in an instant, when your back is turned. Someone else, somewhere, is arriving right now, marching across the Hudson: picking it back up, and falling in love with New York City for the first time, too. The ultimate tragedy of Under the Volcano is that of humanity’s wasted potential. Can, Lowry pondered, the psyche repair itself? Dorothy Sayers’ Lord Peter and his middle class Oxfored educated adored one, Harriet Vane. The most romantic and intelligent man and woman in the most intense courtship with the least amount of physical love and yet possiblythe most amount of eroticism..
How about “The Pursuit of Love” and “Love in a Cold Climate”? Again, aristocracy in decline, but great fun. As mesmerizing as the costumes and aristocratic trappings of “Downton” are to its American audience, I’d suggest that an even more compelling element of this mini-series is its depiction of loyalty. 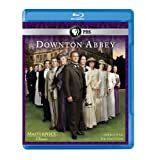 Lord Grantham is loyal to his beloved Downton and the aristocratic system that created it—so loyal that in the opening scenes he refuses to challenge the family entail, even if doing so will benefit his own daughter. The servants, at least the ones we like, are remarkably loyal to their family, even though their lives are long days of tedious tasks. Carson is almost a father figure to Mary and Anna has never spilled the beans about the mysterious death of Mr. Pamuk (it took Mary’s catty sister Edith to do that, which suggests that there’s more loyalty up and down the scale than across it). And even that resentful lemon-sucking lady’s maid O’Brien is now being “redeemed” by the screenwriters, refusing to join Thomas in any plot against the family, due to her guilt at causing Lady Grantham’s miscarriage. The family members are equally loyal to the servants. Bates is hired by Lord G. for his meritorious war service and retained as valet despite questions about his ability to physically handle the job. Mrs. Patmore, the cranky cook who is clearly “getting on,” receives an eye operation at a London hospital, all at the expense of her aristocratic boss. How refreshing for us to step into a world where there’s a bottom line other than the almighty dollar, where employees are not discarded like scrap metal the minute they can be replaced by a machine, where everyone from top to bottom of the social ladder values traditions. Intuitively, we understand that those traditions are deeply rooted in the land and the system of intertwined effort it takes to sustain and nurture an estate like Downton. Let’s face it: even B-list 21st century celebs have more cash in the bank and millions to roll in than the Crawleys of Downton. But they don’t have the “class” because they don’t have loyalty to anything other than themselves. I don’t think it’s the sense of class that’s the draw. It’s the sense of community. I hadn’t seen it until last night although I’d read about it enough to follow the storyline pretty easily. It’s a good show, but I don’t see it as any more literary than the lone soap opera (of the dozens I’ve followed since a boy in the 1950s) that I currently watch, “General Hospital,” although the production values are many times better. It seems to me to be basically trash, and that’s why it’s so popular. I will continue to watch it. When I watched “The Forsyte Saga,” the original one, as a teenager back in the 1960s, it affected me a great deal. I’ve read both “The Forsyte Saga” and “A Modern Comedy” trilogies several times and even the third one, “The End of the Chapter,” dealing with the Forsytes’ collateral relations. Despite Virginia Woolf’s “Mr. Bennett and Mrs. Brown,” Galsworthy had many virtues as a novelist although he’s basically a great popular, rather than literary, one. Yet he does deal with themes — admittedly, sometimes handedly — like the role of the artist, aestheticism in the face of capitalism — that seem absent in the heavily plot-driven, tchtotcke-driven fetishism of “Downton Abbey.” (The fetishes are better on “General Hospital,” just as they were on “Love of Life,” “Another World” and “As the World Turns” half a century ago. It’s a lot closer to another “Masterpiece Theatre” show I loved, the decidedly middlebrow “Upstairs, Downstairs,” an unapologetic unliterary soap opera not based on a book but an idea by two English actresses looking for a TV vehicle for themselves. Now it’s time to turn on today’s “General Hospital” to see who survived Friday’s horrific car accident and if Maxie, having lost the baby she was carrying for her best friends, will replace it with one she got while with her drunk ex-boyfriend, whose current girlfriend lies dying in the road. And will Johnny, having admitted killing Starr’s baby and boyfriend when he shot out his grandfather’s tires, rat on Starr’s father about his switching Sam’s baby with the dead one from his sister-in-law? How do writers get better at telling stories? Attenberg has some theories. First: getting older. She wrote 'The Middlesteins' in her late-30s, with three books to her name and some perspective on the person who wrote them. Everything around the city, all the way into Indiana and even up to Wisconsin, at some point or another has been labeled “Chicagoland.” These suburbs, more specifically the suburbs to the north of the city, have come to define what we see as the all-American suburbs in popular culture, for better — bucolic, quiet, safe — or worse — insular, bland, blindingly white.